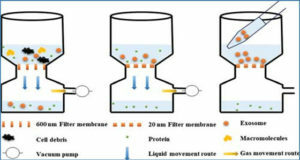 Cell-derived nanosized vesicles or exosomes are expected to become delivery carriers for functional RNAs, such as small interfering RNA (siRNA). A method to efficiently load functional RNAs into exosomes is required for the development of exosome-based delivery carriers of functional RNAs. However, there is no method to find exosome-tropic exogenous RNA sequences. In this study, Kyoto University researchers used a systematic evolution of ligands by exponential enrichment (SELEX) method to screen exosome-tropic RNAs that can be used to load functional RNAs into exosomes by conjugation. Pooled single stranded 80-base RNAs, each of which contains a randomized 40-base sequence, were transfected into B16-BL6 murine melanoma cells and exosomes were collected from the cells. 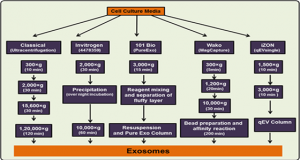 RNAs extracted from the exosomes were subjected to next round of SELEX. 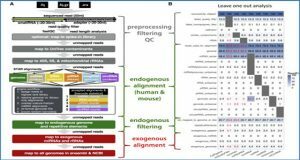 Cloning and sequencing of RNAs in SELEX-screened RNA pools showed that 29 of 56 clones had a typical RNA sequence. The sequence found by SELEX was enriched in exosomes after transfection to B16-BL6 cells. 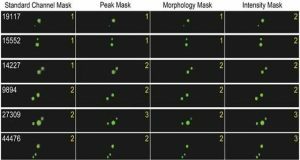 The results show that the SELEX-based method can be used for screening of exosome-tropic RNAs.